In the past 20 years, consumers have shifted their research habits, buying habits, and communication habits drastically thanks to the seemingly all-knowing and endless source of information that today’s search engines provide its users. As buyers, what we used to have to stumble upon through traditional advertising and marketing or research in-depth is now at the tip of our fingertips- in a smarter and faster way. Businesses and professionals originally wanted to capitalize on potential customers that were actively using the search engines, and thus SEO was born. Search Engine Optimization (SEO) is the process that affects the visibility of a website in a search engine’s unpaid section of results. 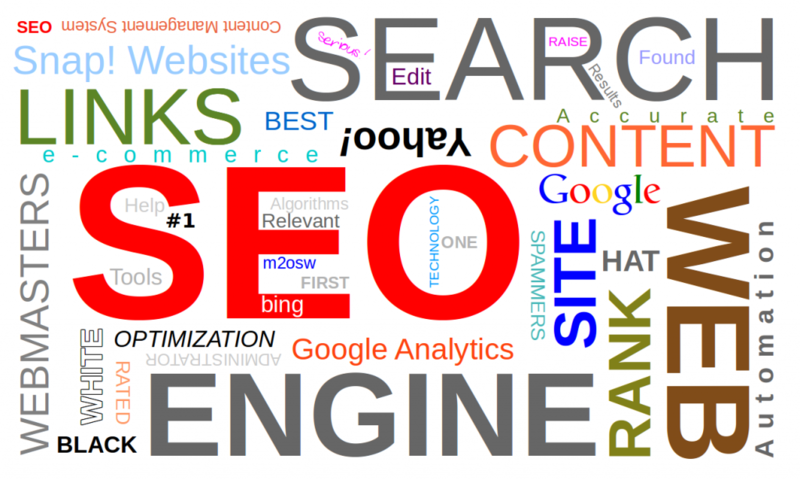 SEO has evolved radically since its start and will continue to evolve as long as search engines do. In 2015 there are many factors that link into rank and visibility of websites on the search engine results page, but for the purposes of this blog we will explain the top 5 things NOT to do when optimizing for SEO purposes. 1. Not Accounting For Mobile-Up until now, the mobile search engine experience has been below par for the user (Think broken links, slow loading media, too small text, etc). However, beginning April 21, 2015, Google will be implementing its first mobile algorithm to fix the issues and improve user experience on mobile devices. 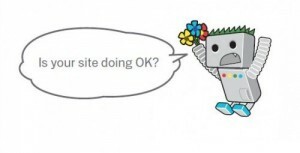 So what’s the big no-no in ignoring mobile-friendliness with your website? Close to 40% of all organic traffic came from mobile devices in 2014, and that number is expected to increase in 2015. 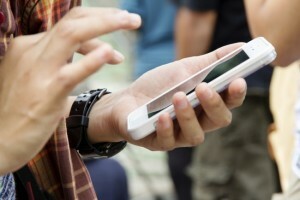 So what does this new mobile algorithm mean? Your business needs to have a Google-approved mobile-friendly website. So here’s the long-story short: This algorithm only impacts mobile searches, not desktop. However, mobile usage is on the rise and for many mobile is the only device they’re using to search. With the algorithm, mobile-friendly sites will be listed higher and non mobile-friendly sites will be listed lower. When it comes to mobile-friendliness there is no degree in determining it. Your site is either mobile friendly or it isn’t. If links/buttons are too close together, font size is too small, viewport isn’t right for device (or you haven’t set one, or it is set incorrectly), there is unplayable content (flash), or it has things like full screen interstitials, slow loading media, your site will NOT be considered mobile-friendly. To check and see if your website is mobile-friendly go to your website on your phone. If it has the gray “Mobile-Friendly” label, Google recognizes that your site is mobile-friendly and that it is in the clear for the algo rollout that affects ranking change. (This is on a per-page basis- so you need to check all tabs etc.) If it isn’t “Mobile-Friendly” run the test by Google at g.co/mobilefriendly -It tests the site and if it fails it gives reasons why so you can fix them before the rollout. This test should match up with the mobile-usability test/report. Once you fix them you don’t need to resubmit the test. It automatically updates. 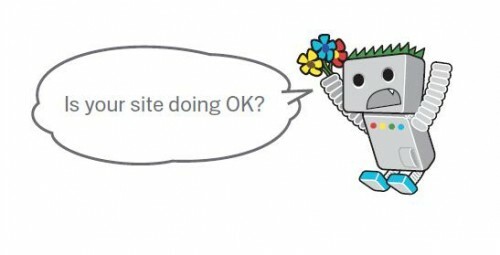 (Mobile-friendly test is how Googlebot sees your site and that is what tests it)If you don’t have a mobile-friendly site by Apr 21 but are working on it, get it up and Google will re-crawl your site. Then you can benefit from ranking change then. Mobile-friendly websites will increasingly become more important as smartphones are continually more affordable and available to the public. Don’t ignore it! 2. Rejecting the Idea of Paid Ads-PAID ADS ARE STILL EFFECTIVE! Okay. Now that I have got your attention, let me explain why. While paid ads are technically considered SEM (Search Engine Marketing), they still have a major impact on users when combined with SEO organic listings. Think about it- if you have a company that isn’t necessarily well known to the public and you’re competing with giant brands, chances are you probably won’t be the first company ranked organically. However, say you purchase an AdWords campaign or a Sponsored Ad. Not only will you be listed above or closer to these big brands, but it will start to provide searchers with brand lift which will earn more traffic to your site. Say searchers go past your ad because they don’t recognize your name and then see you listed AGAIN organically a few scrolls down. This shows credibility and users are more likely to click on your site. Pairing organic and paid together creates a powerhouse in SERP’s when handled correctly. 3. Not Understanding the Changes in Consumer Search Behavior-According to a recent study by Mediative titled “The Evolution of Google Search Results Pages and Their Effects on User Behaviour,” top organic search results aren’t always in the top left corner anymore like they used to be. The increased use of mobile has conditioned searchers to scan vertically as opposed to horizontally in order to gain the fastest path to their desired content. So what’s the no-no? Ignoring the changed behavior can cause your keywords Meta descriptions, content, ratings, and reviews to be set up the wrong way. These should be front-loaded (while keeping user intent in mind) in order to better capture user interest. The study also shows that prime real estate has migrated in SERP’s (positions 2-4), but the number one organic listing still captures the most click activity. The user is spending more time on the SERP and less viewing each, so be sure to use proper schema (code markup) wherever you possibly can. Don’t forget the reason why people are using search engines is to find answers! 4. Not Taking Advantage/Learning about New Features–Knowledge Graph, Local Listings, Sponsored, Paid, Organic…. Confused? Get with it! These new additions to the search engine results page are geared towards consumer-related queries. 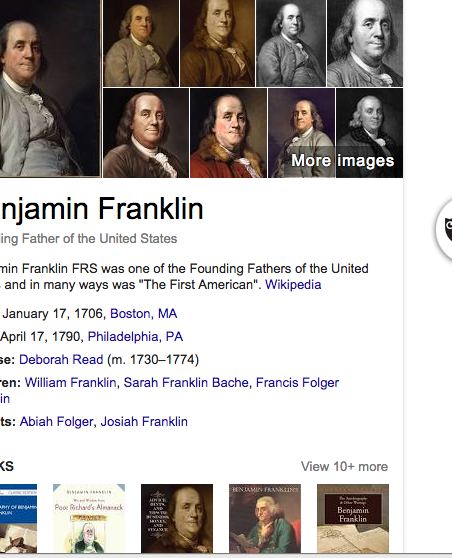 Not only are they new, but they are disrupting search patterns depending on their relevancy.Let’s start with knowledge graphs- these Google graphs collect relevant information about people, places, things and ideas that are helpful during searches and create a graph to the right of the results with the information and facts so users can easily access them (EX- Benjamin Franklin would show birthday, death, parents names, and relevant information such as books and similar people). Knowledge graphs provide quick facts that can hinder traffic to sites that users would normally click on to get the info because it is available to the right of the search results. If knowledge graphs impact your webpage it is a smart idea to look into paid ads, as well as front loading your title tags and meta data with answers to questions to take away attention from the knowledge graph. Local listings are around to help people with location based queries get relevant answers. Local listings usually consist of business name, telephone number, and hours of operation. They vary from being listed above and below organic, but in order to be featured (or get a high organic ranking on local pages) you must optimize your Google+ Local Profile, and attain search attention from LOCATION! Front load with location and service. 5. Aiming only for Optimization–With all of the go-to tricks and tips that are said to help improve rank through SEO and SEM, it is easy for businesses to forget the most important thing when it comes to Search Engine Optimization — CONTENT. Aiming for optimization while simultaneously ignoring content is a big no-no for a couple of reasons. The biggest? You’re forgetting about the intentions of the person you’re trying to serve- the customer! The whole point of search engines is to provide inquisitive people answers and knowledge in the form of content, through websites that can serve their needs the best way. As Search Engine Land puts it, “Google has always been interested in providing the best results for its users… SEO has only ‘changed’ because too many Internet marketers have been looking for the short term win.” So providing users and search engines with constant, strong content is an easy way to improve ranking and pleases the user and the Googlebot. Win-win unless you forget that it isn’t just an algo-game. Bottom line is, marketing SEO tactics will always be changing trying to keep up to date with and ahead of the evolving algorithms that search engines present their users with. The best way to stay in their good graces is to continually strive to provide your audience with value, and to abide by SEO guidelines. It is important to follow these guidelines extremely closely, stay updated with the changing information, and monitor social signals to best improve on page and off page ranking. Need an expert team to optimize your website? We can help.